As we head into cold and flu season, we all know how important it is to take precautions to stay healthy. This is also true for your tank. We present one of our top three most common aquarium fish diseases for this time of year and our advice to address it. Fin rot is fairly common and easily treatable. 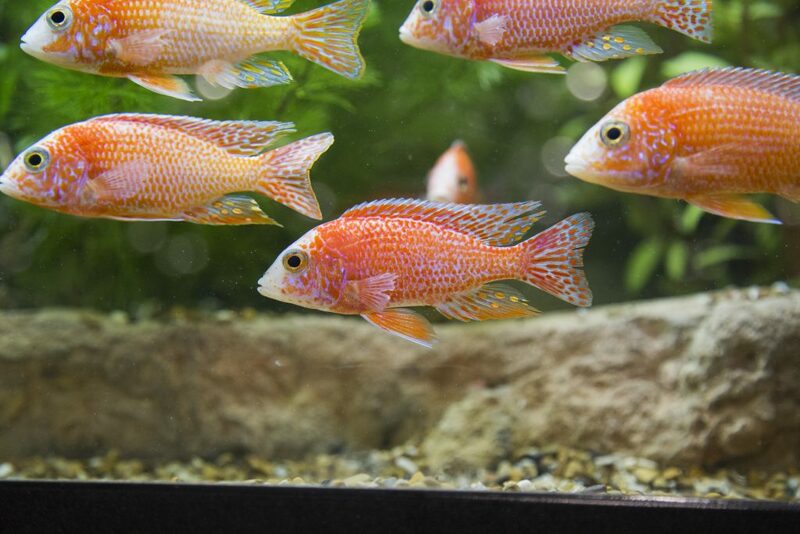 Most often the most common sign of this illness is the outer edges of your fish’s fins turning white, appearing to be frayed or inflamed and bloody. This illness can be caused by overcrowding, bad water quality, high stress or poor nutrition or a combination of them all. To treat, start by addressing your water condition. Be sure you are using a top quality water conditioner that offers real ammonia removal, not just pH manipulation to make the ammonia less toxic to your fish. If the water conditioner you are using now smells like sulfur or rotten eggs, you might consider a change. You want a water conditioner that will lock up the ammonia assuring it cannot come back to harm the fish, but making it available for your biological activity to consume it. Even with overcrowding, regular and frequent water changes with a higher quality water conditioner, you can help you overcome this issue. Stress can be caused by new fish, bad water, food left in the tank after the feeding period, rapid changes in water temperature or adding too many supplements or medications in to the aquarium without consideration for their effect. If you are treating for something, be sure to use one medication until you determine you have the proper one and you are seeing some actual improvement. When you add more than one medication at a time, you are basically asking your fish to live in toxic cocktail water. That is enough to stress even the healthiest of fish. If you are seeing your fish lose color or weight over time, or they tend to not be too interested in the food, then a nutritional issue might be your problem. Discuss your food choice with your local aquatic retailer to be sure the food you are using is actually for the fish you are keeping. It’s important to note that one or two missing nutrients can cause longer term health issues from the deficiency. To treat this issue you can use a product like Ich-X or an antibacterial medication. Be sure to follow the instructions, only dosing the amount required for the actual water in your tank. Be sure to avoid over-dosing as this will only cause more stress and not speed a cure. To prevent another occurrence, be sure to perform your regular maintenance tasks with a good quality water conditioner, avoid overcrowding, don’t overfeed your fish and be sure what you are offering for food meets the nutritional requirements of the fish you have.